Having just completed a North American tour with Baauer (whose "Harlem Shake" has erupted as one of the most hilarious current YouTube memes), production legend Just Blaze will hopefully put the finishing touches on his debut EP for Fool's Gold Records. 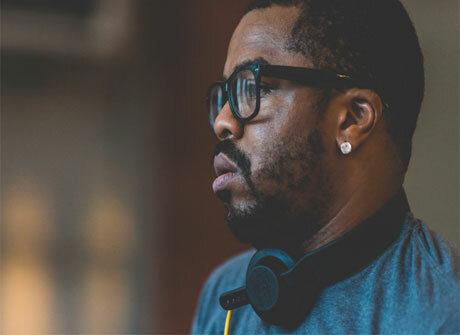 Though he's best known for his production work on classic releases from Jay-Z, Kanye West, Eminem, Dipset and countless others, Just Blaze's recent material (including the trunk-rattling Baauer collaboration "Higher," which you can stream below) sees him exploring the worlds of EDM and house. "I've been playing house music for 20-something years," the producer, born Justin Smith, tells Exclaim! "Here and there, I try some ideas of my own, but I never show anybody." As for how a casual interest in dance music ended him up with Fool's Gold, Smith describes it as "something that very much happened by accident," adding, "Me and A-Trak were playing a set a couple years ago. I played a record, and he was like, 'Dude what is that? Can you send me this record?' He didn't know it was me. It was just a house record I had got from somewhere else. I sent it to him, as a friend, and then he was like, 'Dude, I want to put this record out.'" Rather that drop a one-off release, however, Just Blaze opted to explore his dance music ideas a little further. "If I'm going to do a release, I don't want to make it a one shot thing... I started going back and getting the best of those ideas to make them into something coherent." The result is exactly what you might expect from Just Blaze. "When you listen to it, it's very clear that it's a house record. The aesthetic is very much hip-hop at the same time. It's definitely a hybrid, it's kind of a hip-hop approach to creating house music." As for exactly when the release will drop, the producer says that it's "95 percent done," adding, "We're adding some final tweaks to the mixing and mastering. That will be coming definitely sooner than later." Just Blaze "Miracle" / "Molsekin Conclusion"